Just weeks before leaving office, President Obama on Monday issued 78 pardons and commuted the sentences of 153 prisoners, extending his acts of clemency to a total of 1,324 individuals, by far the largest use of the presidential power to show mercy in the nation’s history. ... something that an individual with even the most rudimentary research skills can confirm to be false. In fact, Obama lags behind Grant, Wilson, Coolidge, FDR, Truman and Ford. And most presidents - including Mr. Obama - have waited until the end of their presidencies before issuing pardons and making grants of commutation. There are 57 presidential terms in the chart. 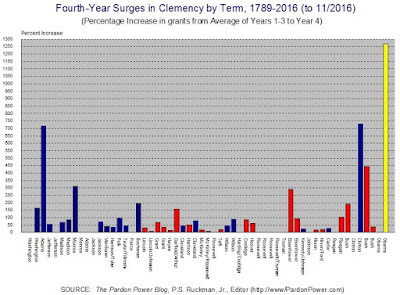 In 17 (or 30 percent) of the terms, the number of pardons and commutations of sentence granted in the 4th year of the term was identical to, or less than, the average number granted in the first three years. 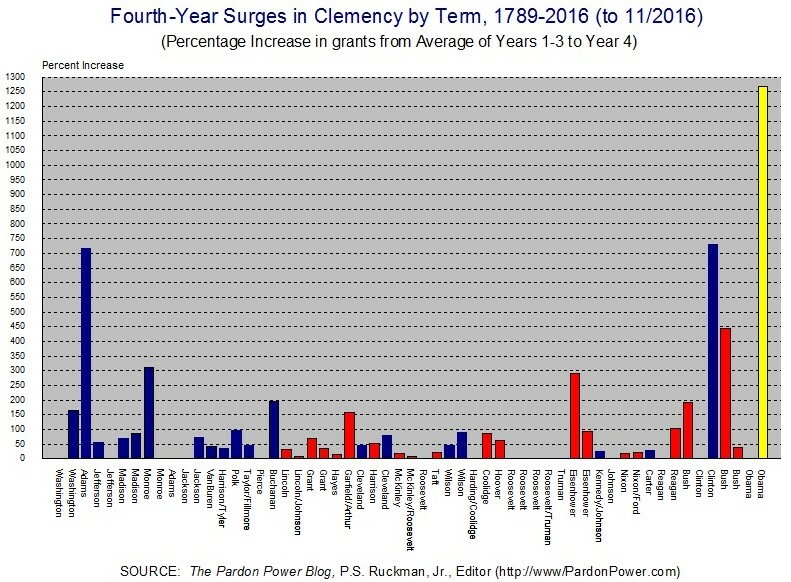 Pardons and commutations of sentence were granted in the first three years of the term, but there was no 4th "surge" in any sense of the language. In 17 additional terms, the grants of presidents in the 4th increased somewhere between 0 and 50 percent. Finally, in 12 additional terms, the grants of presidents in the 4th year increased somewhere between 50 and 100 percent. 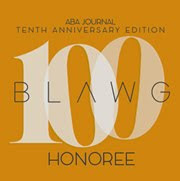 In sum, for 46 (or 81 percent of the terms), the difference between 4th year grants and the average of the previous three years was either zero or lower than 100 percent. Only 6 presidents have crossed the 200 percent mark. So, it is not so surprising that the average 4th year increase for all presidents has been 94.3 percent. There are some exceptions in the chart, and President Obama is very clearly the reference point for everything that is abnormal. The percentage increase in his 4th year grants for this term is a record breaking a 1,267 percent. Bill Clinton's second term is a distant second at 728 percent. Indeed, if Obama's current term is removed from the analysis, the term average for all presidents drops to 73.3 percent. There is nothing wrong with 4th year / last-minute pardoning per se. Such activity does tend to be viewed skeptically, however, and when 'controversial' acts are in the mix, public perception of the pardon power can be affected and long-term damage is the result. The Times should research the topic more intelligently before it writes. If Obama's use of the power requires an application, he should make an exception for Snowden. What he did was a patriotic act not a crime.